In little more than a day after the wall’s completion, it was covered in vibrant, honest chalk hopes and dreams of people from all over the community. Today, less than three years after Chang painted over that abandoned wall, her message has been recreated and shared in over 60 countries and 25 languages worldwide. 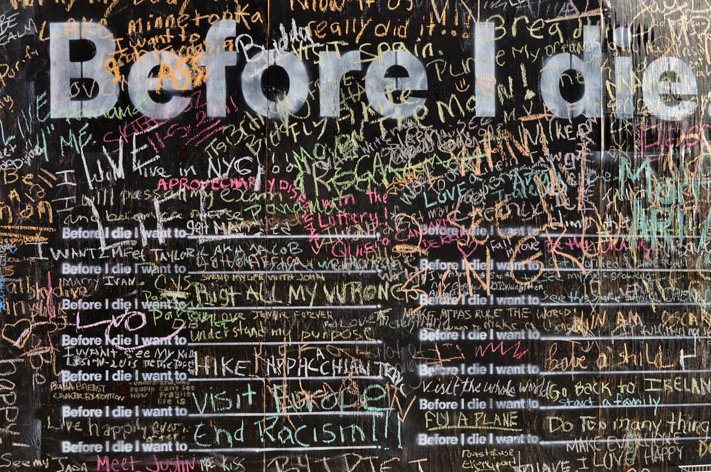 The “Before I die” message has resonated with thousands of people, who have contributed to this living work of public art since 2011. 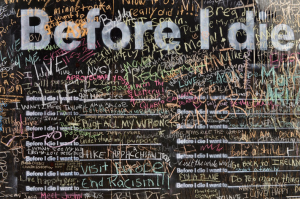 Now, Chang celebrates the release of “Before I die,” a book dedicated to her art and how it has inspired people from around the world to share their dreams. Read more about Candy Chang and her inspiring public artworks in our full profile.